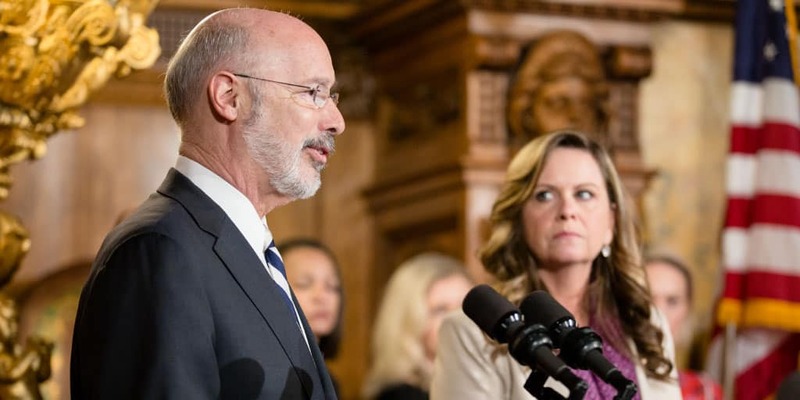 Harrisburg, PA – One year after he first called on legislators to pass a package of domestic violence bills, Governor Tom Wolf signed the remaining piece of legislation from that package into law. By signing Senate Bill 919, now Act 148 of 2018, Governor Wolf builds on his support for victims of domestic violence and completes the passage of a package of bills he urged legislators to pass on October 24, 2017. The package included Senate bills 449, 500, 501, 502 and 919. In April of this year he asked House leaders and committee chairs to send him those same bills that had passed overwhelmingly in the Senate. Governor Wolf signed various domestic violence bills into law from April to October, including Act 79 of 2018, a reform long-sought by domestic violence and gun safety advocates to keep guns from abusers and honor all the victims of domestic violence that have lost their lives at the hands of their abuser with a firearm. The final bill, sponsored by Senator Art Haywood, is a victim protection bill regarding housing options and emergency transfers. The bill allows a housing authority tenant who is a victim of domestic or sexual violence to request relocation if the domestic or sexual violence occurred on or near the home within 90 calendar days of the request. The tenant may also request relocation if they believe they are in imminent harm from domestic or sexual violence if they remain in the home.